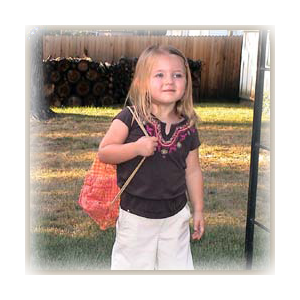 A homespun drawstring knapsack for toddlers or young girls is a unique gift or craft project. 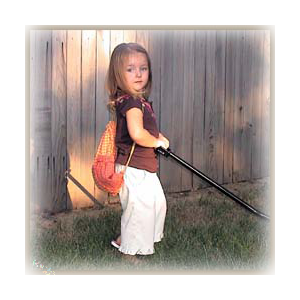 Just use your favorite knapsack pattern and leave the seams exposed. Clip and fray the edges/seams and she's off to Grandma's house! A wide variety of homespun fabric is available from Jubilee Fabric.